Buy The Seahorse Trust a Coffee. ko-fi.com/theseahorsetrust - Ko-fi ❤️ Where creators get paid by fans, with a 'Buy Me a Coffee' button. 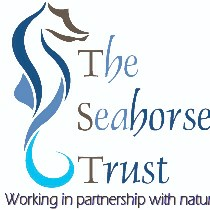 The Seahorse Trust is a small charity working tirelessly to protect the world's wild seahorses. Seahorses are protected under App II of CITES, yet worldwide they are still being horribly (illegally) killed in their millions for trinkets, jewellery, medicine and taxidermy. If this carries on, seahorses will be extinct in the wild in 25 - 30 years. Welcome to our Ko-fi page, trying to raise funds to help expose illegal seahorse sellers, work with governments and other marine charities/businesses, educate people about the plight of seahorses and maintain a database of seahorse species spotted worldwide. Thanks for taking the time to visit. Please do contact us at theseahorsetrust@gmail.com if you require any further information or want to report any potentially illegal seahorse products/seahorse sales online. Secured Payments. Support goes to The Seahorse Trust's account. Upgrade The Seahorse Trust to a yearly Gold Membership with a one-time payment.